According to Law No.36/2005/QH11, Foreign traders are entitled to set up their representative offices or branches in Vietnam. 1. To operate for the purposes, within the scope and duration stipulated in their establishment licenses. 2. To rent offices, rent and purchase equipment and facilities necessary for their operations. 3. To recruit Vietnamese and expatriate employees to work for them according to the provisions of Vietnamese law. 4. To open accounts in foreign currencies or foreign currency-based Vietnam dong at banks licensed to operate in Vietnam, and to be allowed to use those accounts solely for their operations. 5. To have seals bearing their names according to the provisions of Vietnamese law. 1. To rent offices, rent and purchase equipment and facilities necessary for their operations. 2. 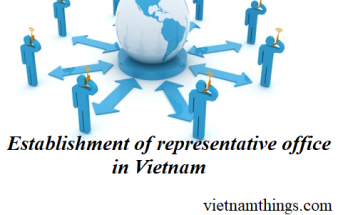 To recruit Vietnamese and expatriate employees to work for them according to Vietnamese law. 3. 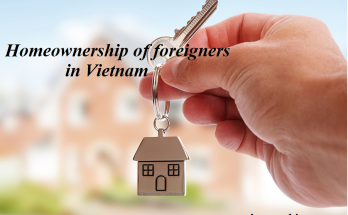 To enter into contracts in Vietnam in compliance with their operation contents specified in their establishment licenses and the provisions of this Law. 4. To open Vietnam dong accounts and foreign-currency accounts at banks licensed to operate in Vietnam. 5. To transfer profits overseas according to the provisions of Vietnamese law. 6. To have seals bearing their own names according to the provisions of Vietnamese law. 7. To conduct activities of goods purchase and sale and other commercial activities in compliance with their establishment licenses according to the provisions of Vietnamese law and treaties to which the Socialist Republic of Vietnam is a contracting party. 8. To have other rights provided for by law. 1. Not to directly conduct profit-generating activities in Vietnam. 2. To conduct commercial promotion activities within the scope permitted by this Law. 3. Not to enter into contracts, not to amend or supplement contracts already entered into by foreign traders, except where chief representatives obtain valid letters of authorization from foreign traders or other cases specified in Clauses 2, 3 and 4, Article 17 of this Law. 4. To pay taxes, fees and charges, and fulfil other financial obligations provided for by Vietnamese law. 5. To report on their operations according to Vietnamese law. 1. To observe the accounting regime provided for by Vietnamese law; in cases where it is necessary to apply another commonly used accounting system, the approval by the Finance Ministry of the Socialist Republic of Vietnam is required. 2. To report on their operations according to the provisions of Vietnamese law. 3. To have other obligations provided for by law.